Do you have a service ticket open for this? We really aren’t supposed to do any work without a ticket. Yes, I understand. Now, I need you to remap VDN 55718 from skill 224 to 210. And I need you to do it right now. In the 1965 movie “Battle of the Bulge,” the American general is being chased across France. He spends much of the first half of the movie retreating and protecting his soldiers and especially his tanks. He withdraws from encounter after encounter. He finally reaches a point where he realized the Germans are running out of fuel for their tanks. It becomes clear their objective is a supply debit and its gallons of fuel. Gentleman, I’ve decided to commit my armor. The general throws his tanks against the the German armor. 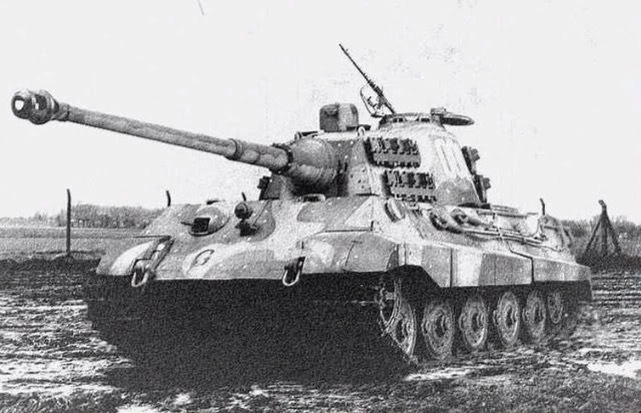 The American tanks are inferior to the German tanks, and the battle goes the German’s way. Too late, The German commander realizes the American commander’s strategy. It was not to win the tank to tank conflict. Instead, by forcing the Germans to stop their advance and fight a battle, he forced them to use too much fuel. The Germans win the battle, but don’t have enough fuel left to take the supply depot. 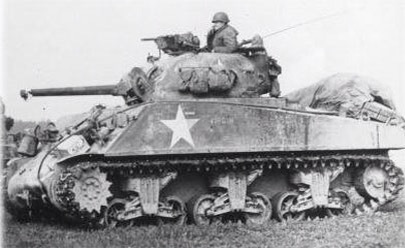 The American Sherman tanks were no match. . .
. . .for the German Tiger Tanks. You have a limited amount of political capital. Spend it wisely. The conversation I quoted at the beginning really took place. I’m clearly being “pushy.” If I force them to complete my request, there will most likely be consequences. It will cost me political capital. Should I back off, create their ticket and wait to get my VDN switched? If I did, it would certainly build up my political capital. Thanks guys, for explaining the process. I’ll be happy to get the ticket created and submitted to your queue. I would be viewed as a “team player.” I would validate to the team I was working with that I respected their process and in turn they would respect me. It would build our relationship. And since a project manager gets most his success from the relationships he can build it would make sense for me to attempt to build good will. And most times I would do exactly that. If we do this work without a ticket, and something goes wrong it will be escalated as a major incident. If you don’t remap that VDN for me right now, this will be an major incident. Well, if this really is a major incident we need to track agent downtime. How many agents are impacted? I’m not going to call this a major incident at this time. I’m in the middle of a product launch and I’ve got 60 agents, a couple VPs, and a bunch of client VIPs who currently are waiting on this change. I need you to remap that VDN as soon as possible. I will create a ticket for this in a couple hours. Nope, he was not happy. And I knew it. And at that point I didn’t care. Actually, that’s not true. I did care. I just cared more about getting my product launched than I did his hurt feelings. Your VDN is remapped. You should be able to use 210 now. I paid for it. Next day I got an email from my boss. Rodney, I received some feedback that we were a little pushy on getting the VDN remapped yesterday. Specifically it was called in as a Major Incident, and the impression left was that this was called in to cut corners. I explained that the client made some last minute changes that prevented us from launching until we made the VDN changes. Every minute that we delayed meant that 60 agents were not taking calls. So we were losing an hour of billable time per minute of delay. The ten minutes it might have taken me to create a ticket and get it escalated would have represented a considerable amount of money. Not to mention the negative impression we would have with the client and VIPs as they sat and waited on me to finish the process. This was the point at which I was l was committing my armor. I have some bridge building to do with the teams that I ran roughshod over. In fact, later that day I created the ticket they wanted. I reached out to the engineer who had done the work and thanked him. It’s just that if I make an undocumented change and it causes a Major Incident, I’m the one they are going to blame. I know. I also figure that if I ask an engineer to go out of process and it screws up, it’s my responsibility as the project manager to take the heat for that. I wouldn’t have left you hanging out to dry. I rarely use this much political capital all at once. It takes a long time to build it back up. But, part of my job is to know when to make those compromises, to know when process needs to take a backseat to production, to know when to commit my armor. Rodney M Bliss is an author, columnist and IT Consultant. He lives in Pleasant Grove, UT with his lovely wife, thirteen children and one grandchild.